In reply to Victor Sum’s letter (“Promote incinerator advantages ”, November 14), I would like to inform him that the proposed incinerator has nothing worth promoting. In fact, 30 per cent of what is burnt will go to landfills. And, based on the Environmental Protection Department’s own data, this will require the extension of all three landfills. The reality is that the incinerator is a poor choice for Hong Kong on account that it is old technology. It does pollute (why else would the Netherlands not install the same incinerator within 15 kilometres of a residential area, based on health concerns of its residents). It will cost Hong Kong taxpayers billions to build and millions to run once built. The energy it produces is small and there is no agreement on price from CLP, so it is unlikely to produce any cash offset for its operating costs. Plus, the incinerator won’t be ready until 2022 or later. All three landfills will require extending from 2015. The problem is the department is blinkered and is pressing ahead knowing all this and residents like Mr Sum are sufficiently misinformed to buy what the department is selling. There is a better solution. It is gasification and it burns everything. It is cheaper than the reclamation alone at Shek Kwu Chau. It produces “syngas” that can be turned into biofuel and sold to airlines and shipping operators, therefore producing a profit within the first year of operation. If built now, it would be operational by 2016. But, best of all, it can be used to back-mine the existing landfills, turning them back into useable land (back-mining involves digging up the old rotting rubbish from the landfill and feeding it into the gasification plant). Maybe Mr Sum and other residents with similar views should write to the department, instead of these columns, and demand a better solution than the world’s most expensive bonfire. We see with some interest that the Zhuhai Gaolan Port Economic Development Zone is planning to build a waste-to-energy plasma gasification project with a capacity of 2,000 tonnes per day. It will be the world’s biggest plasma plant. This is of interest because green groups have been imploring Hong Kong’s Environmental Protection Department to take a proper look at this technology before proceeding with its proposed incinerator at Shek Kwu Chau. These pleas have fallen on deaf ears and the EPD has clung to its incinerator project. The current price for this is HK$19.2 billion and rising. The original price in April 2012 was HK$14.92 billion. The incinerator will produce almost 1,000 tonnes a day of toxic waste, which has to be loaded into barges and sent to landfills. The incinerator is estimated to export some 10MW of electricity. This compares with the Zhuhai Gaolan Port project, which aims to produce some 200MW of exportable power. The project is being built for about 2.8 billion yuan (HK$3.5 billion) which we are told should be increased by a factor of three to compare with Hong Kong prices, which takes it up to HK$10.5 billion. So half the price and 20 times the amount of electricity and no toxic ash. But the other aspect of interest here is that the company building this plasma project – Guangdong Plasma Power – is a subsidiary of the local power company Zhongshang Jiaming Electric Power. We gather that Hong Kong’s local power companies have considered the possibility of running plasma plants next to their power plants but have received no response from the government. We are frequently told by the EPD in letters to the SCMP and in public statements that the plasma technology is untried and not suitable for Hong Kong. Yet Guangdong Plasma plans to start building its Zhuhai plant in July 2015 and to complete it by December 2016 well before Shek Kwu Chau is built. Hopefully the Legislative Council finance committee will scrutinise this carefully before giving the green light. It might at the same time ask the EPD about its practice of sending 1.41 million tonnes a year of construction and demolition waste (CDW) to landfill. It seems odd given that Hong Kong sends 20,000 tonnes a day (7.28 million tonnes a year) of CDW to China for “storage” under an agreement with China’s Oceanographic Administration. The remaining 11.56 million tonnes of CDW is recycled according to the EPD. You have to wonder why any CDW is being sent to landfill. People are rightly incredulous when they hear this. The EPD claims that 80 per cent of CDW is recycled though the figures show that 58 per cent is recycled. This compares with levels of 99 per cent for Singapore and 95 per cent for the Netherlands and Germany. It is a mystery why Hong Kong has to send such colossal amounts of waste to landfill. But its good business for the likes of Veolia Environment and their subsidiaries and Sitra, which control waste management in Hong Kong. As project designer of a conservation group on Lantau, I wish to respond to the letter by Elvis W. K. Au, assistant director of environmental protection, regarding the Shek Kwu Chau incinerator (“Incinerator will adopt proven, cost-effective technology on island ”, August 5). I visited the plasma arc gasification plant in Teesside, in northeast England, on June 18, joining its annual open day. Many delegates and big name companies from around the world attended. I was the plant’s first “Hong Kong delegate”. The day included presentations and a visit to the plant, which was impressive. It is the largest plant in the world and will come into commission by next year. The most striking part of the visit was the large number of delegates from China, gathering information on plasma. Two out of the three presentations given were by Chinese companies, which have set up plasma gasification plants; it felt as if China was teaching the rest of the world. I also talked with the British team that met seven Hong Kong government representatives when they visited Britain. They had met in a hotel room in London for an hour: the Hong Kong representatives had said they did not have enough time to visit the Teesside plant. They then visited a small-scale plasma gasification site, in Avonmouth, in southern England, Afval, a company generating electricity from waste in the Netherlands, and then went on to Denmark. The reaction of the British officials had been the same as mine: surely, if you go on a fact-finding mission, you should go to the best example of whatever that subject is. 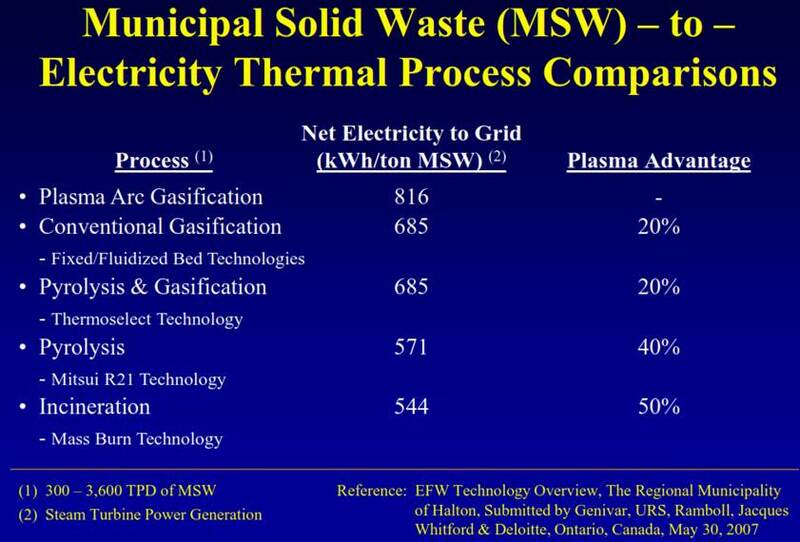 Someone senior in the government told me we needed the proposed super incinerator, because, firstly, Hong Kong people were never going to be able to reduce, reuse and recycle their waste in time; and, secondly, plasma would not work. After my visit to the Teesside plant, my response is to ask: why will plasma arc facilities not work? If the rest of the world is doing it, and it needs to be done, then Hong Kong can do it. Let’s catch up. Hong Kong always wants everything super-sized, but is that the way of the future? The workable future is smaller scale and localised. 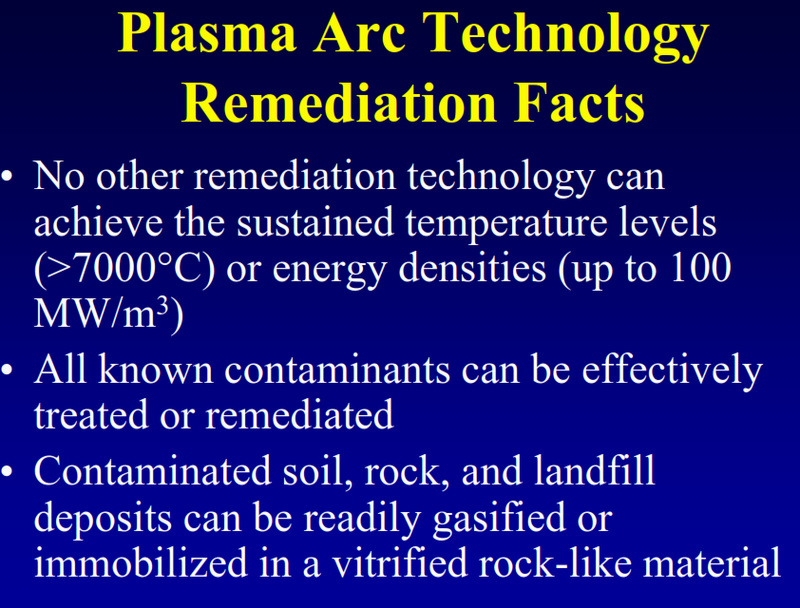 A plasma plant can be constructed quickly, and does not pollute or need landfills, as there is no residue ash waste. We can set up cluster recycling centres for composting, recycling, plasma arc facilities and education centres where they are needed all over Hong Kong. The government has already signed contracts so it is reluctant to change tack. But what is really best for Hong Kong? A letter in today’s paper pooh poohs plasma arc technology as a means of disposing of municipal solid waste saying: ‘To demand that the Environmental Protection Department should consider this technology, which is unproven at any commercial scale, for Hong Kong, is about as ludicrous as suggesting to shoot all of our garbage by space rocket into the sun!’ Strong words from Alexander Luedi, who is the general manager of Explosion Power Hong Kong. So it’s not unreasonable to think Luedi’s eyes lit up at the prospect of business opportunities from a monster incinerator that processes some 3,000 tonnes of municipal solid waste a day which, in turn, generates 1,200 tonnes of fly ash. His views don’t appear to be shared by authorities in Japan, the UK, Mexico, India and China, which are all using plasma arc technology to process municipal solid waste and to convert it into energy instead of the conventional moving grate technology proposed for Hong Kong. The new technology produces little in the way of emissions of toxic dioxins and less mess for the likes of Luedi and his company to clean up. Plasma arc is a suitable and proven method for the disposal of small quantities of hazardous waste. However, for household refuse it would use large quantities of energy, and it is definitely neither needed, nor feasible, for the disposal of 3,000 tonnes per day of municipal household waste. The “old-fashioned” moving grate technology is fully capable of addressing Lai See’s “noxious chemical cocktail” (“Making a hash of dash to ash”, January 4) and hundreds of plants operate worldwide in highly sensitive areas. To demand that the Environmental Protection Department considers this technology, which is unproven at any commercial scale, for Hong Kong is about as ludicrous as suggesting shooting all our garbage by space rocket into the sun. What is needed is a plant that meets the highest standards in operational efficiencies. That is where the department could learn from my firm. Construction of the world’s first industrial scale municipal waste-to-biofuels facility is about to be completed. The City of Edmonton is currently diverting up to 60 per cent of residential waste from landfill through recycling and composting. The Waste-to-Biofuels Facility will enable the City to increase that diversion rate to 90 per cent. The feedstock for producing biofuels is municipal solid waste that cannot be recycled or composted and has traditionally been sent to landfill. Using waste to produce cleaner burning fuels is a major leap forward in Edmonton’s commitment to alternatives to landfills and an integrated energy vision. Initially the facility will produce methanol, followed by ethanol. The goal of producing methanol and subsequently ethanol has both environmental and economic benefits since it supports the increasing demand for biofuels. The Waste-to-Biofuels Facility is part of a larger initiative totalling $131 million which includes a feedstock preparation facility and an Advanced Energy Research Facility. Using waste as a resource for fuel will contribute to GHG reduction, reduce the need for food crops as feedstock for ethanol, and enable Alberta to lead the way in biofuel production. PyroGenesis Canada Inc. today announced that it has signed an agreement with Canada’s leading end-of-life refrigerator and freezer recycler (“Client”) to provide them with additional equipment and services (including onsite optimization) for PyroGenesis’ patented SPARC technology. As part of this agreement, the Client will commercialize the SPARC technology on an exclusive basis within Canada. This agreement, totalling up to $1.5M, includes several options for follow-on service contracts, all of which are expected to be executed within 2014. PyroGenesis’ environmentally friendly and cost-effective Steam Plasma Arc (SPARC) Destruction System allows clients to safely destroy ozone-depleting substances (ODS) which can generate as much as 10,000 times more Green House Gases when compared to CO2 emissions. “The successful introduction of this technology within Canada is the first step to expanding the commercialization of PyroGenesis’ patented SPARC technology on an international scale”, said Gillian Holcroft, Executive Vice President, Strategic Alliances for PyroGenesis. As previously reported, PyroGenesis’ SPARC technology achieved an unprecedented 10x greater destruction efficiency as compared to current requirements. Conservative estimates show that there are at least 25,000 tons per year of ODS that require destruction. This represents over $100 million of business potential to PyroGenesis with no apparent competition at these destruction efficiencies. “Our Client intends to incorporate PyroGenesis’ SPARC technology into its existing appliance recycling business. As part of this Agreement, PyroGenesis will also be the exclusive supplier of after-sales service and support. The operation of PyroGenesis’ patented SPARC technology at the Client’s new industrial facility will demonstrate to the world the environmental and economic benefits of safe and effective ODS destruction”, said Gillian Holcroft, Executive Vice President, Strategic Alliances for PyroGenesis.